Our More Casual approach to the Black Forest. 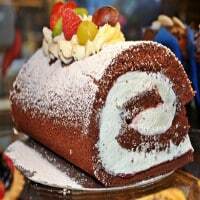 All the flavour of a Black forest Gateaux with the convenience of a Swiss Roll. A Midweek Treat.